CBCA announced this morning the Notables List 2016 (also known as the Long-List) for Book Week. I will split books into their nominated sections into different posts to make it easy to find the relevant grade levels. This is a list of books, brief details and summary. Please note: Most of these summaries are from the publisher websites as I am yet to read any of them myself and will need to start tracking a copy down. Stayed tuned for the book reviews to come over the next several months for a better look at the books. Summary: The 65-Storey Treehouse now has a pet-grooming salon, a birthday room where it's always your birthday (even when it's not), a room full of exploding eyeballs, a lollipop shop, a quicksand pit, an ant farm, a time machine and Tree-NN: a 24-hour-a-day TV news centre keeping you up to date with all the latest treehouse news, current events and gossip. Well, what are you waiting for? Summary: Fero isn't a spy. But he looks exactly like someone who is: Troy Maschenov - a ruthless enemy agent. But what starts as a case of mistaken identity quickly turns into a complicated and dangerous plan. Fero is recruited to fight for his country. He will have to impersonate Troy, enter enemy territory, hunt down a missing agent and bring her home in time to prevent a devastating terror attack. Fero is in way over his head. Hastily trained, loaded up with gadgets and smuggled across the border, he discovers the truth about espionage. Getting in is easy. Getting out alive is hard. Summary: George is trapped in a falling aeroplane with no engine and no pilot. Milla is covered with radioactive waste and her hazard suit is running out of air. Otto is in the darkest depths of the ocean, where something hungry is circling. 10 dangerous situations. 10 brave kids. 30 minutes to escape. Summary: Bella is very surprised one morning to discover her house has moved in the night - not a lot, just a little. Her parents are too busy to notice, but even they can't pretend it's not happening when they wake up to find their house on the banks of a lake. Night after night the house moves and the family wakes to a new location. Unless Bella can solve the mystery, who knows where they'll end up? Summary: Bridget's family has been turned out of their home during the Irish potato famine and their only refuge is the workhouse where living conditions are hard and freezing and the food sparse. There is one chance for Bridget and her sister - to take a ship to a new country and become Australians. But will they survive the journey, let alone the challenges that await them in a far away land? Summary: Hi, I'm Helix. I'm twelve years old and the worst caveman-to-be that Rockfall has ever seen. I'm even less cavemanly than my lazy bonehead brother, whose hobby is grooming his nose hair. It's almost time for my Arrival. I'll be expected to disappear into the woods and return with something big, dangerous or rare preferably all three. My best friend Ug is preparing for his Arrival too. He has the strength of a hungry rhinovore so he will no doubt bring back something impressive. And our friend Saleeka would pass with flying colours, except girls aren't allowed to take the test a rule that makes her angrier than a sabre-tooth. But me? I can't even lift a club above my shoulder. Summary: Funny, exhilarating and a little bit scary; a bewitching blend of Norse mythology and urban fantasy. 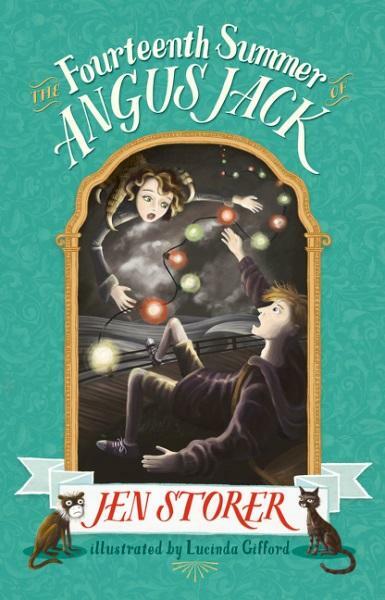 Since moving to Australia with their father, Angus Jack and his sister, Martha, have moved house constantly. 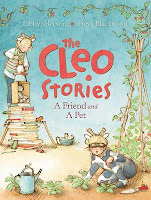 They end up living next door to a peculiar old lady called Reafen, who is a second-hand dealer. To Angus and Martha, Reafen seems harmless enough. But who is she really and where did she get all the weird stuff in her shop? Without his knowledge, Reafen draws Angus into her world; into ancient feuds, Wild Magick and bitter rivalries - into the secret dealings of Vikings and goblins and all those who have lived in the Old Realm. 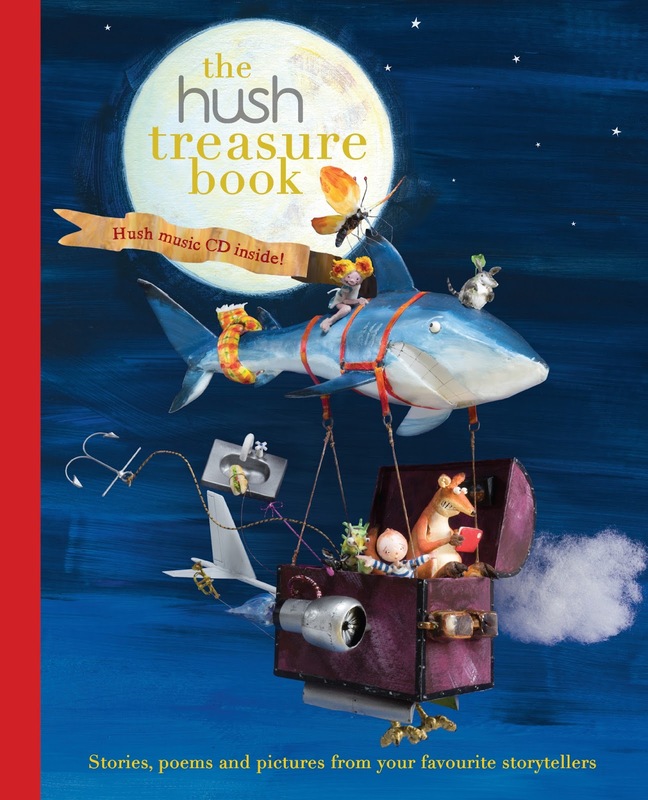 Summary: Welcome to the world of HUSH a world of magic, wonder and mystery...Created for the Hush Music Foundation, famous for its original music albums used in hospitals all around the world, this book is a treasure trove that will delight and entertain the whole family..